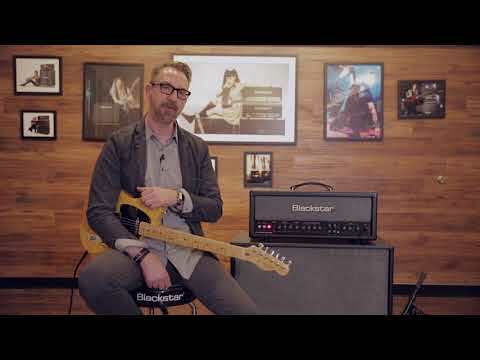 The Blackstar HT Venue Series HT 212 MK II Speaker Extension Cabinet is equipped with a pair of specially voiced 2 x 12-inch Celestion speakers that match the HT Venue MK II amps beautifully. The HT 212 MK II cabinet impedance is 4 or 16 Ohms mono, or 2 x 8 stereo, with an overall power handling capability of up to 160 Watts. Whether you are using as the sole output for your amp head or in conjunction with your combo, you can rest assured that this beauty has what it takes to give your tone the extra legs needed for any venue. Whatever style of music that you are performing, your tone will be delivered with uncompromising sonic precision. As we've come to expect from the team at Blackstar, the cabinet is solidly built with heavy duty wiring used throughout to give it exceptional resilience when it comes to coping with life on the road. Whether you're a weekend warrior or a seasoned touring artist, the HT Venue series cabs can handle anything that comes their way. The vintage-style finish adds to the sophisticated charm of the HT Venue series, whilst the Blackstar logo adds that touch of reassurance in knowing that you have a sublime piece of gear.